Sochi (Russia) (AFP) – Nico Rosberg out-qualified his Mercedes teammate Lewis Hamilton to claim pole for the Russian Grand Prix at Sochi on Saturday. Rosberg, trailing Hamilton by 48 points in the world championship, claimed his third pole of the season by three tenths of a second with a time of 1 min 37.113 sec. It was Rosberg’s third pole of the season and the 18th of his career and came after a dramatic morning during which Spaniard Carlos Sainz of Toro Rosso escaped injury when crashed heavily at Turn 13 after careering out of control at more than 300 kph. 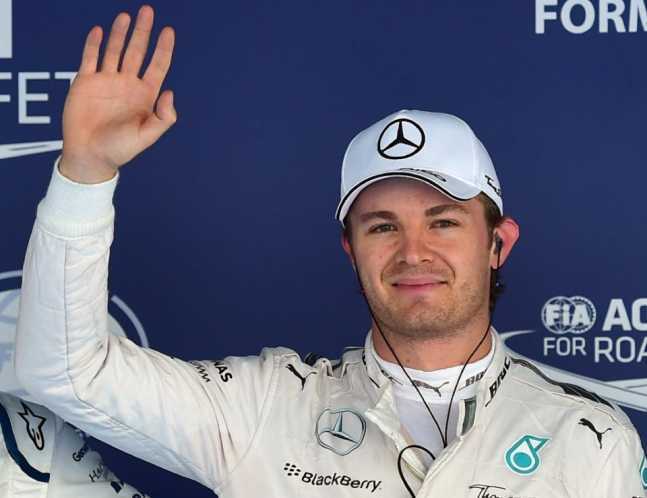 Showing undimmed self-belief and confidence, Rosberg said: “I am very happy. It has been a difficult weekend because of the little running we got, but I got some very good laps in and I am happy with that. Hamilton, who ran off track in a vain final bid to improve his time and grab his 50th career pole, was three-tenths adrift in second place ahead of Finn Valtteri Bottas who was third for Williams. The Briton was philosophical about the outcome. “I did go for my second lap — I just did not finish it,” he said. “I made a mistake at Turn 13. 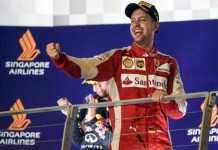 Sebastian Vettel of Ferrari was fourth ahead of team-mate Kimi Raikkonen and the two Force Indias of Nico Hulkenberg and Sergio Perez. 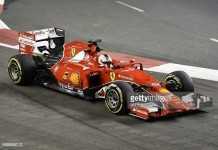 Romain Grosjean was eighth for Ferrari ahead of Dutch teenager Max Verstappen in his Toro Rosso and Australian Daniel Ricciardo who was 10th for Red Bull. Among those drivers left disappointed were Fernando alonso, who marked his 250th Grand Prix by failing to make it out of Q1. It mattered little for the former world champion of course, as he faced a 25-place grid penalty after his McLaren was fitted with a new Honda engine. Sainz was airlifted by helicopter to hospital in Sochi and was detained overnight for observation, but made clear in his tweets that he hoped to recover and return to race. 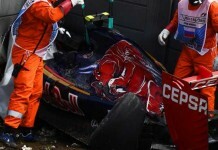 His team chief Franz Tost said: “I think he is in good shape. He is fully conscious and still in hospital being checked by the doctors. 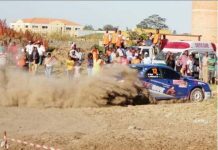 Asked if he felt the 21-year-old son of former rally world champion Carlos Sainz could take part, he said: “Possibly. “We are just preparing the car and once he is back from the hospital, we have to talk to him about whether he is in the right condition to do the race. As Q3 began, Sainz was busy in hospital where he was photographed organising a television to allow him to watch the qualifying session and trying to persuade his medical staff to allow him out to race on Sunday.